2016 Caravelle 16 BR NICE 2016 CARAVELLE 16 EBO BR WITH ONLY 15 ENGINE HOURS! 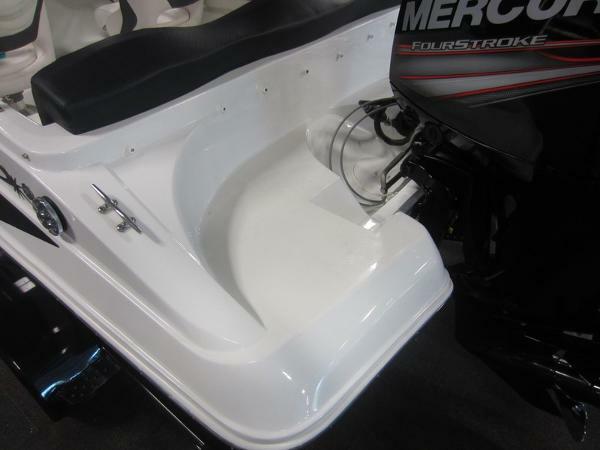 A 90 hp Mercury Command Thrust 4-stroke EFI outboard w/power trim and factory warranty thru 1-27-2019 powers this sharp bow rider. 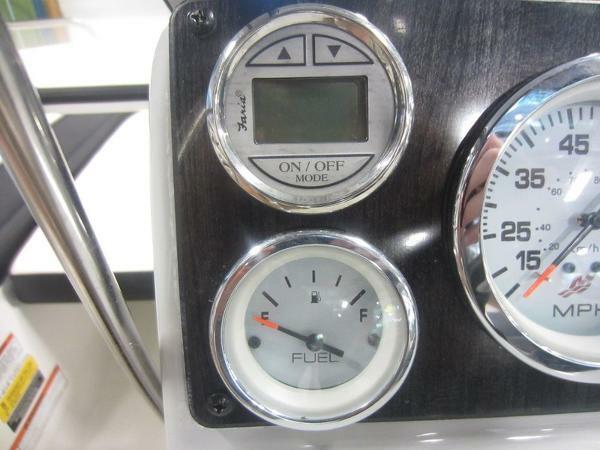 Features include: snap-on bow and cockpit covers, removable bimini top w/storage boot, full walk-thru windshield, Fuzion AM/FM CD stereo w/AUX input, (2) marine speakers, passenger console, gauges including; tachometer, speedometer, voltmeter, trim, and fuel; Faria digital depth gauge, 12-volt power outlet, lighted helm switches, circuit breakers, electric horn, navigation/anchor lights, bilge pump, non-slip fiberglass flooring, bow seating w/under storage, removable bow filler cushion, driver & passenger swivel seats w/slider and flip-up bolsters, stern cockpit bench seat w/under storage and glove box, in-floor ski/board storage, integrated non-slip fiberglass swim platform w/3-step telescoping boarding ladder, keel guard, beverage holders, passenger safety handles, stainless rub rail insert, (4) stainless mooring cleats, 17-gallon fuel tank, marine cranking battery, fire extinguisher, and 5 person capacity. Also included is a Warlock bunk trailer including: 13” wheels, fenders w/steps, swivel jack, tie down straps, and bearing buddies. 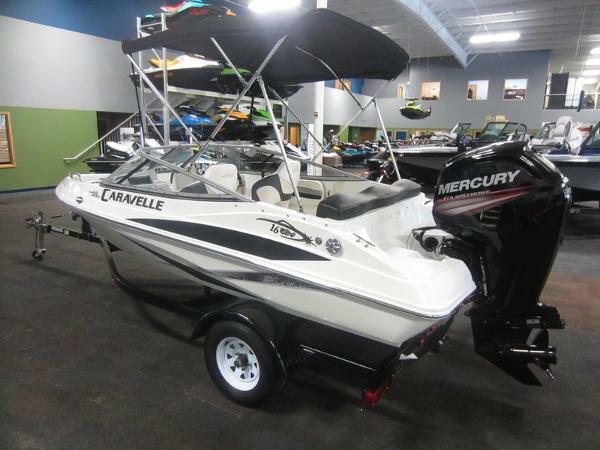 This boat is in excellent overall condition w/minimal wear. There are minor cosmetic scuffs/scratches on the exterior and minor upholstery wear (see pics/video). Trades will be considered and delivery is available. Competitive financing rates and terms are also available. Approximate payment of $178/mo. w/20% down for 120 mo. (WAC). Leaders RPM is one of the largest marine and powersports dealers in the Midwest with over 70,000 sq ft of showroom, parts, and service under one roof located in Kalamazoo, MI. Price is plus sales tax/fees and is subject to change without notice. For more information, please call toll free.